When you need to make deep cuts fast our K 970 Ring is the answer. 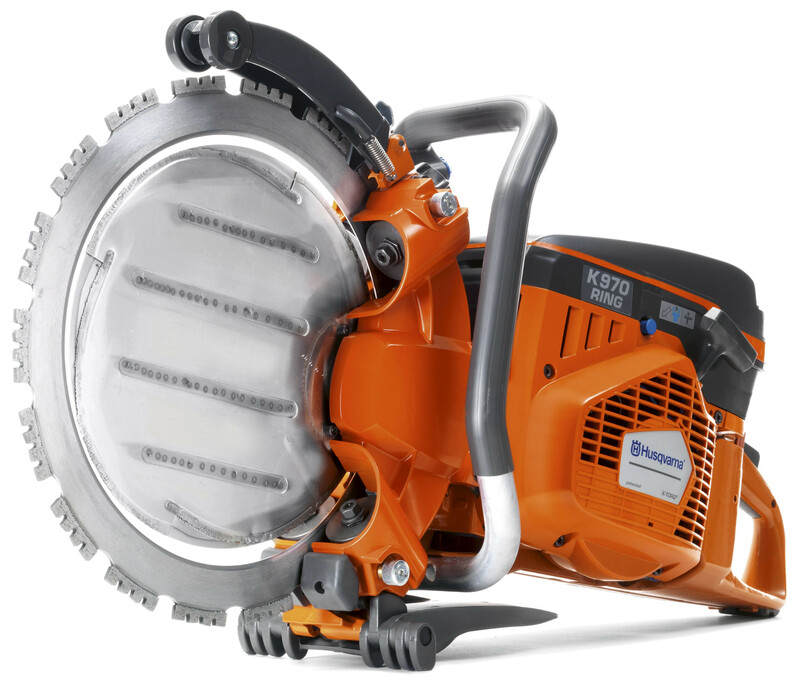 It has an exceptional cutting depth of 10", twice the amount of a traditional power cutter. It has a high cutting capacity, can make deep cuts from one side and is the quickest method for small and medium-sized cuts. Cutting depth of 10.6", twice the depth of a traditional blade. Highly efficient air filtration system ensures minimum engine wear even in the toughest conditions. Engine with X-Torq produces 75 % less emissions, 20 % lower fuel consumption and more power. DuraStarter™, the dust-sealed starter, and the durable starter cord reduce the risk of downtime and increase reliability and product life. SmartCarb™, built-in automatic filter compensation, maintains high power and lowers fuel consumption. Easy to start thanks to Air Purge and decompression valve. Efficient vibration dampening reduces vibrations to less than 5 m /s², for more convenient operation. DEX – water-saving wet cutting kit for efficient dust management. Fuel indicator in the tank shows fuel level, to help avoid unnecessary downtime. Cutting depth of 10.6", twice the depth of a traditional blade. Highly efficient air filtration system ensures minimum engine wear even in the toughest conditions. Engine with X-Torq produces 75 % less emissions, 20 % lower fuel consumption and more power. DuraStarter™, the dust-sealed starter, and the durable starter cord reduce the risk of downtime and increase reliability and product life. SmartCarb™, built-in automatic filter compensation, maintains high power and lowers fuel consumption. Easy to start thanks to Air Purge and decompression valve. The Poly-V belt provides better transmission of power, less frequent re-tensioning and greatly extended product life. Efficient vibration dampening reduces vibrations to less than 5 m /s², for more convenient operation. DEX – water-saving wet cutting kit for efficient dust management. Fuel indicator in the tank shows fuel level, to help avoid unnecessary downtime. 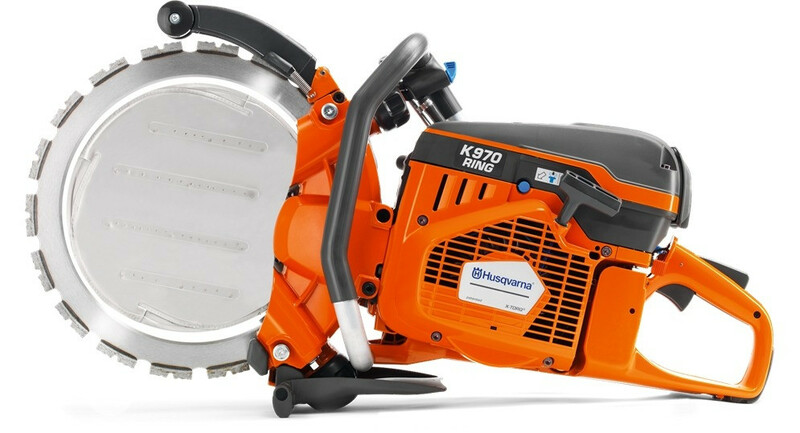 By using the K 970 Ring on pipe diameter up to 10.6", the cut can be made from one position. This saves a lot of unnecessary digging, which saves time and money with less filling and finishing work. Engine with X-Torq® produces 75 % less emissions, 20 % lower fuel consumption and more power.